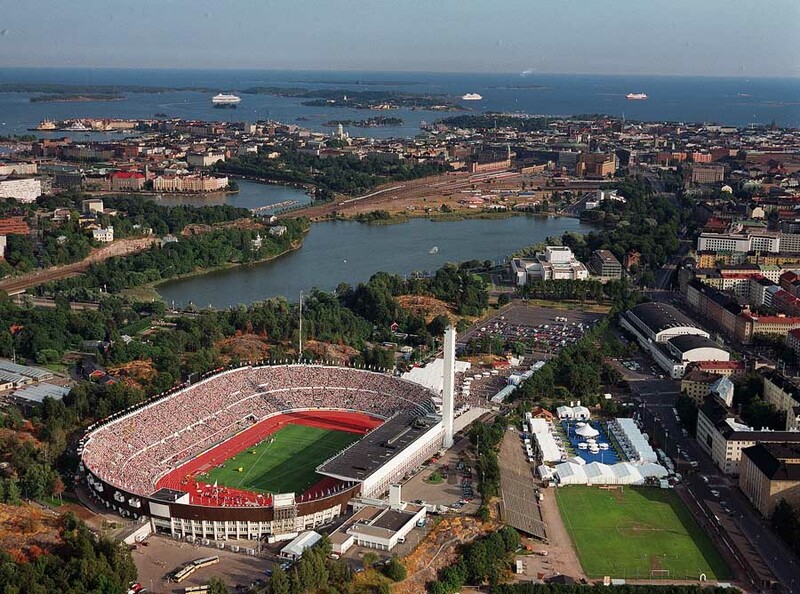 Helsinki is the capital and largest city of Finland. Located in southern Finland, on the shore of the Gulf of Finland, it has a population of 616,042, with an overall metropolitan population of 1,176,976, making it the most populous in Finland. 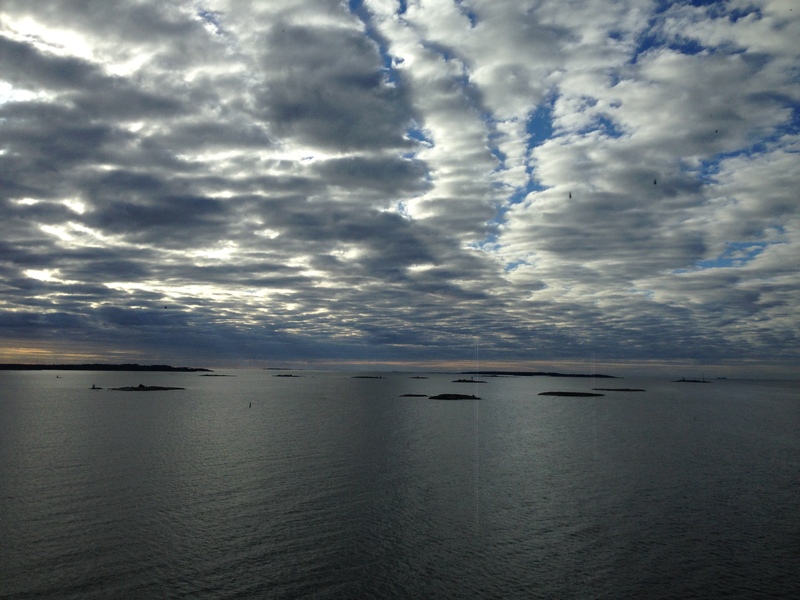 Helsinki is located some 80 kilometres (50 mi) north of Tallinn, Estonia, 400 kilometres (250 mi) east north east of Stockholm, Sweden, and 300 kilometres (190 mi) west of Saint Petersburg… it has close historical connections with these three cities. After sailing all night from Saint Petersburg, the Eurodam slowly glided by the low islands in the early morning dawn, and docked in downtown Helsinki around 7:30 in the morning. It was another sunny day, and we were off to find our SPB Tour Guide about an hour later . . . no customs to go through as long as we had our ship ID with us. Helsinki is not a large city, so less than three hours were required to drive by and visit the major attractions. A lot of people from the ship took the “Hop on Hop off” bus to explore the city (which most cities we visited offered), or walked into town, about a 30-minute walk into the central downtown. Our minivan first took us along the colorful waterfront with its sail boats, nearby city islands, and recreational parks, then through the central market area before making our first stop at the Senate Square and Helsinki Cathedral. According to Wikipedia (one of my favorite “go to” resources for information that I failed to pick up during our tour! ), Senate Square has been the locale for several movies, including Warren Beatty’s 1981 film Reds, where Helsinki played the role of Saint Petersburg (without showing the Cathedral); and, John Huston’s 1970 film The Kremlin Letter, which showed the silhouette of the Cathedral and the Square at night. Today, the Square is one of the main tourist attractions of Helsinki, and is often the scene of art happenings, concerts and snow building events. Thanks, Sartenada. Unfortunately, it was a whirlwind city tour, but enough to make me want to return. And your wonderful lake photos do too. What a magnificent collection of beautiful images of your countryside! http://www.snowkingretreat.com/. Snow King Retreat Hotel top Hotel in Shimla. Snow King hotel Located in Shimla top fagu. These hotel working 24 hours in customer help. Snow hotel no.1 hotel all shimla hotel but they can provide customer facility. Tourist visit this shimla they can stay out our hotel. I have lots of good memories of this city. In summer it is magic. I was there for two weeks and I would like to write about Finland in my blog soon. Thanks, Roberto. I will look forward to your blog post!